I have received a lot of papers from the guide school with information and one thing i have been thing about alot is the way i'm going to pack my suitcase. The longest i have been away from home is 15 days i think, but i'm going away for 5 weeks this time and maybe more in the future so how do you pack a suitcase for 5 weeks when it use to be full when i'm only away for a week? Here is the tips i will try out myself. Some of them are from the guideschool and some of them are things i just have been thinking a lot about. 1. How much clothes do you use in a week when you are home? You can have the same shirt on two days in a row right? You don't need 7 t-shirt if you are going away for 7 days! Think like this with everything. What do you use at home in a week? Do you really need to take the whole makeup purse with you if you only use the eyeliner or a bit of eyeshadow? 2. How much Shampoo do you use when you are on vacation? You don't need the whole bottle even though you want to smell good when you are out exploring. Buy travel size bottles and pour a small amount of the shampoo in that. 4. If you are going on a long flight or a relaxing vacation, don't bring a book on the size of the suitcase. The e-book reader is a great invention and are often cheaper than the normal books. I was kind of skeptical about it myself in the start but i love mine now which is a Trekstor 7". you can get it for only 20$ now! I gave 50$ when it was a new thing. 5. Know the weight of your suitcase before you leave. Especially if you are going away for a long time or city ​​breaks. 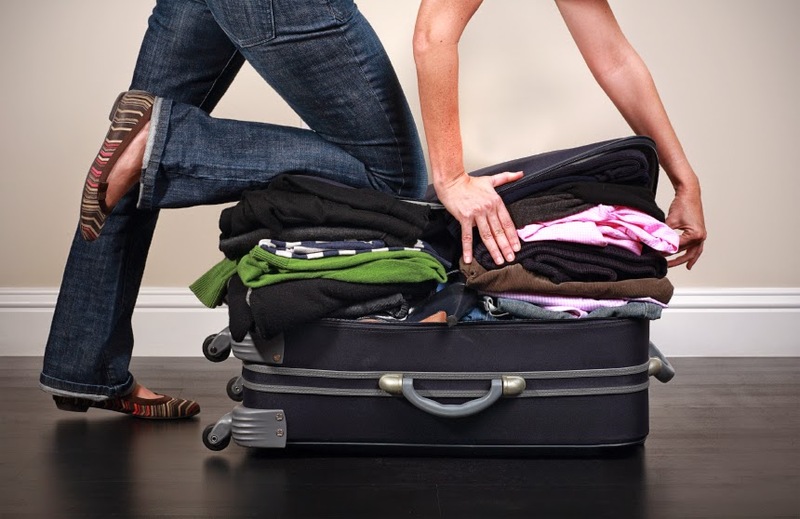 The airlines usually have a limit on how much you can have with you and when you are out shopping you will have a feeling of how much you can buy before you reach the limited weight on your suitcase.